College of Business Administration Dean, Prof. Khalifa Jaber and Department Head for Business Administration and HRM, Dr. Panagiotis Kokkalis, welcomed a delegation from St. Mary’s University, California, USA at Al Falah University emphasizing the ongoing efforts of the University and the College to strengthen its National and International collaborations and exchange of ideas, experiences, and practices. 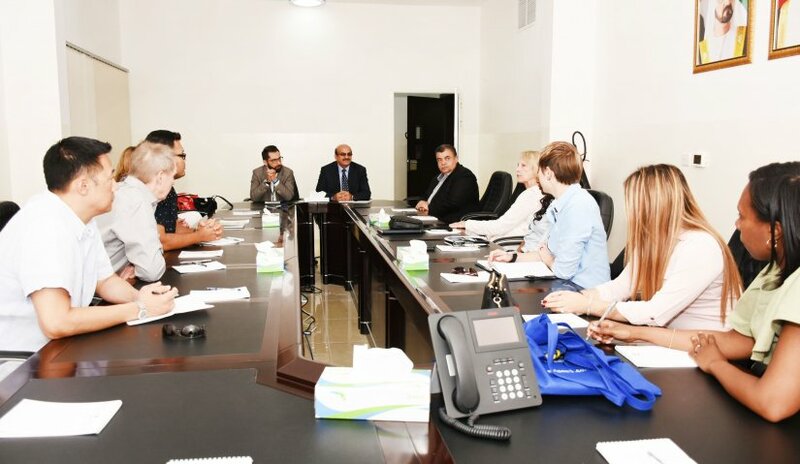 After a brief introduction to the University and the College, the delegation met with COBA faculty members and AFU’s own MBA students and exchanged their views and experiences on a number of issues ranging from their respective perspectives on USA and UAE working environments, the educational system in the two countries, the utility and usefulness of the MBA qualification, and the balancing between full time job and Post Graduate education. The meeting concluded with an agreement for more active connection between the two Universities that may also include exchanges in faculty, students, and research initiatives.